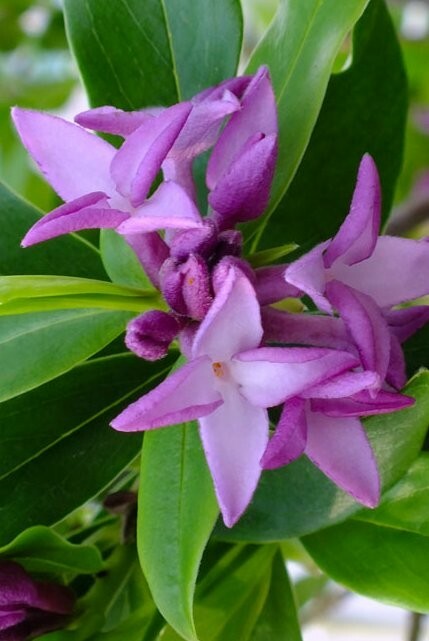 Daphne bholua Spring Beauty really is a rare gem and the perfect winter shrub, during the coldest months of the year it will be festooned in blossoms. The blossoms appear in clusters as pointed purple-pink buds on the trips of the stems as the first signs of Spring arrive, opening to soft pink tubular flowers with a delicious sweet perfume. It will enjoy a bright position on well drained soil, yet is also tolerant of partial shade, and therefore ideal for a woodland setting if you have one, looking divine with drifts of spring flowering bulbs surrounding. Reaching as high as 2 metres in time, it is one of the more vigourous forms of evergreen Daphne shrubs available. Originally hailing from Nepal, it is extremely hardy so there is no need to worry about cold temperatures. During mild winters it can start blooming before Christmas, although late winter and early spring is more normal. 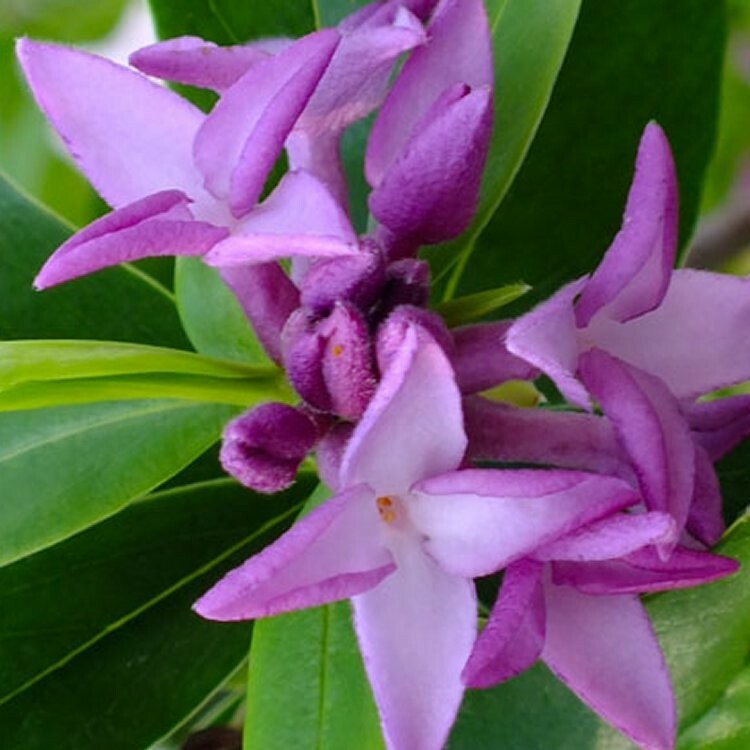 The fragrance produced by Daphne is magnificent,a heady clove-like scent that is really uplifting as if wafts through the winter garden. Supplied in approx 10.5 cm pots.